M44, Russian Mosin nagant rifle, all matching parts, year (1944). In good condition, a very sturdy rifle, fires and operates perfectly. 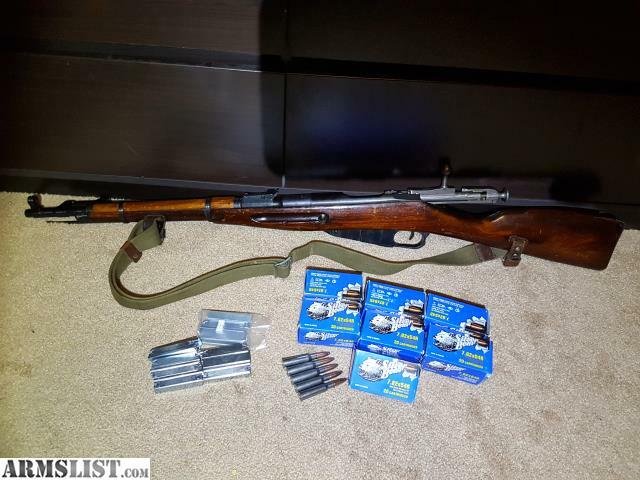 Also included: 140 rounds of 7.62 x 54R ammo, 20 stripper clips and cleaning accessories, which are not pictured. Located in Beaverton, Oregon. Please text me at, 5o3-200-8772 for any questions or to arrange an inspection/ purchase.